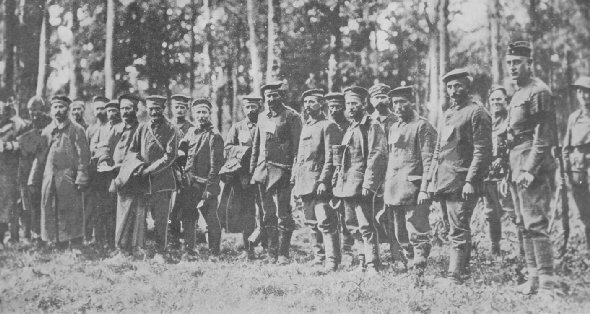 Prisoners, captured in the Argonne fighting, being conducted to 35th Division Headquarters, near Boureville, Meuse, France. There they were quizzed and searched by the Intelligence Officers before being sent to the prison camps. 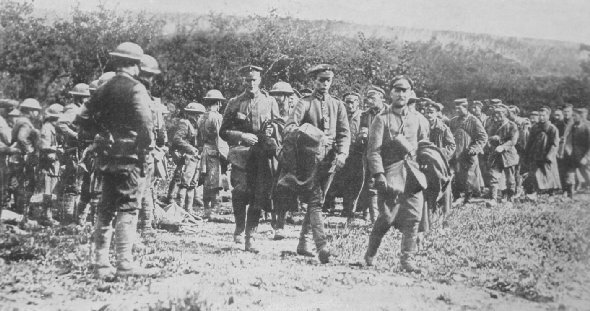 A group of German prisoners captured by the Americans early in the Meuse-Argonne drive. These men are from one of the Landsturm Divisions, made up of older men called into service as replacements in the later days of the war.